The Central of Georgia Railway (CoG) connecting much of its home state, parts of nearby Alabama, and even reaching Chattanooga, Tennessee. It all began during the 1830s when a worried Savannah wanted its own railroad in competition against one recently opened to Charleston, South Carolina. The modern CoG was created during the 1890s and pieced together through new construction and many acquisitions. Its system map branched in every direction away from Macon, Georgia. Into the 20th century the railroad came under various ownership and experienced one notable bankruptcy before the affluent Southern Railway gained control during the 1960s. Despite a few bouts of financial troubles the Central was generally a profitable and well-managed company handling everything from agriculture to merchandise. It also participated in various through passenger services in addition to its own trains. Today, parts of the railroad survive under the Norfolk Southern banner. Its corporate name also perseveres albeit only on paper. The Central of Georgia Railway's ancestry can be traced to the industry's earliest days. As Richard Prince points out in his book, "Central of Georgia Railway And Connecting Lines," the city of Savannah had maintained a position as a longtime, prominent southern port. It was first established in 1733 as the first colonial and state capital of Georgia. The city's location along the Atlantic coast with the Savannah River flowing inland meant a great deal of trade moved through its borders. This status was placed in doubt when the South Carolina Canal And Rail Road Company (SCC&RR) opened its first six miles west of Charleston, South Carolina in 1830. A few years later, in October of 1833 it completed a 136-mile route to Hamburg located directly across the Savannah River from Augusta, Georgia. It was then the longest railroad in the country and began shifting trade away from Savannah. In an era when port cities up and down the east coast fiercely competed with one another for dominance in Trans-Atlantic trade, Savannah's business leaders worried the SCC&RR would economically harm their city. Understanding this new form of technology was the future in transportation their own Central Rail Road & Canal Company was chartered on December 20, 1833. Nashville, Chattanooga & St. Louis, "The Dixie Line"
The Central of Georgia's earliest predecessor was intended to connect Savannah with Macon located roughly in the center of the state. After survey work was carried out in 1834 actual construction commenced in December of 1835. At the same time its name was changed to the Central Rail Road & Banking Company of Georgia (CRR&BC). The purpose of this corporate maneuvering was geared solely towards financing. The railroad was having trouble securing monetary backing and the name change provided banking powers. Great difficulty still lay ahead; early engineering practices were rudimentary at best and the financial Panic of 1837 further delayed the project. However, within a year there were 26 miles in service over a network that largely consisted of wooden stringers affixed with strap iron, all of which was held into place by wooden cross ties. Only later was this early track work replaced with modern, iron "T"-rail. Work progressed steadily by the late 1830s; during the spring of 1839, 76 miles was finished and during October of 1843 tracks finally reached the eastern bank of the Ocmulgee River about a mile from downtown Macon. Shortly thereafter the waterway was bridged and the 191-route ready for service. The road's construction had been difficult, fraught with delays, setbacks, and monetary shortfalls but once it opened the benefits were realized. The line served a healthy number of large plantations and farms. As a result, large volumes of cotton soon poured over its rails along with agriculture, passengers, various less-than-carload movements, and other freight. As profits took off the CRR&BC was soon expanding further across Georgia. Much of its future growth came via acquisition of smaller systems. It all began in 1855 when it picked up two lines, the Milledgeville & Gordon Railroad (M&G) and the Eatonton Branch Railroad (EBRR). The former operated 17 miles between a connection with the CRR&BC at Gordon and Milledgeville. The latter was first leased and then permanently acquired in 1897 under the Central of Georgia Railway. 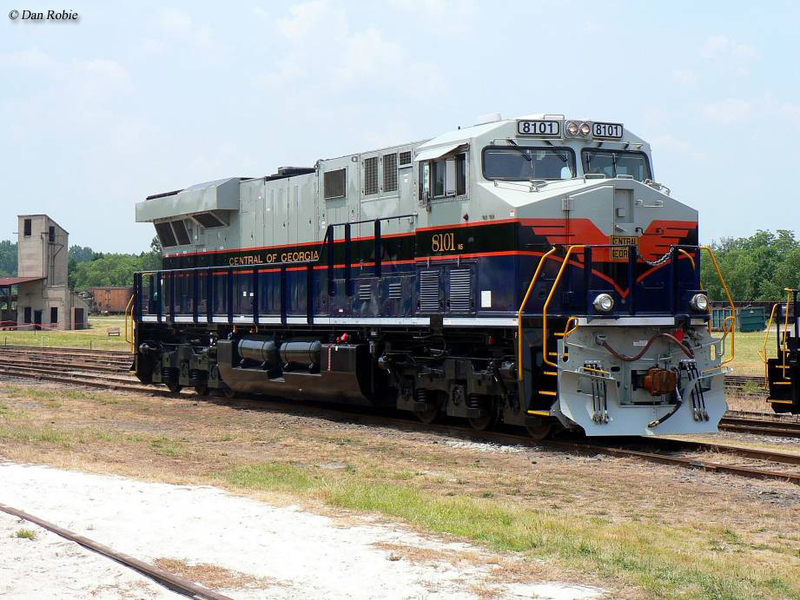 It maintained a 22-mile route linking with the M&G at Milledgeville and running northward to Eatonton. In 1862 it leased the 53-mile August & Savannah Rail Road (previously known as the August & Waynesboro) which operated from Augusta to an interchange with the CRR&BC at Millen. Since the CRR&BC was located so deeply within the South it had largely avoided damage by Union forces during the first three years of the Civil War. However, that all changed during the summer of 1864 when General Sherman laid siege to the city of Atlanta and began his infamous "March To The Sea." Detachments of Sherman's forces were successful in knocking out bridges and tearing up sections along the railroad's western periphery near Macon and Gordon. Once the city of Atlanta fell, Sherman's main body moved on towards Savannah and carried out extensive damage to eastern segments of the railroad in the process. While Mr. Prince's book notes that total costs to the CRR&BC from wartime damages cannot be fully ascertained it did report that more than $1.3 million was required to rebuild bridges, track, and related structures. In spite of this the company surprisingly sprang to its feet rather quickly after the war and was soon expanding once more. Its first postwar acquisition was the South Western Railroad formally leased on December 1, 1869. 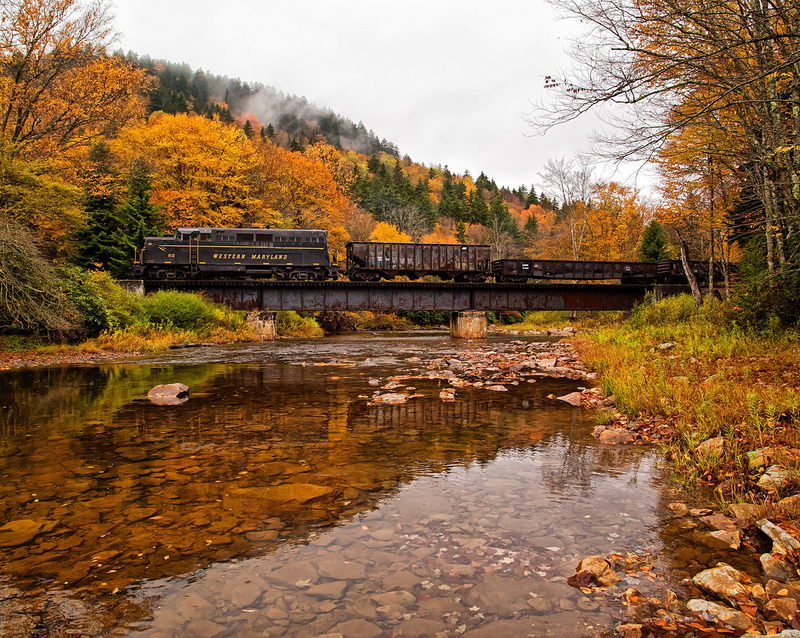 The 258-mile system was made up of various smaller railroads. It connected with the CRR&BC at Macon running south to Albany and westward to Columbus. From Smithville, along the line to Albany, rails reached Eufaula at the Alabama border. It connected there with the Montgomery & Eufaula Railroad, which completed its line in 1870. The M&E ultimately failed later that decade and its assets were acquired by the CRR&BC at foreclosure on May 1, 1879 (renamed as the Montgomery & Eufaula Railway). In 1872 another significant takeover occurred when the Macon & Western Railroad was added along with its subsidiary, the Savannah, Griffin & North Alabama. The M&W was actually the first railroad to operate out of Macon, opening a 26-mile line to Forsyth on December 10, 1838. It began as the Monroe Rail Road & Banking Company but early financial troubles saw a reorganization in December of 1845 as the Macon & Western. On September 4, 1846 it extended northwestward to a location known as "Terminus," where it interchanged with the Georgia Railroad & Banking Company (it would later make up part of the "West Point Route") and Western & Atlantic (later Nashville, Chattanooga & St. Louis). Terminus was renamed Marthasville in 1843 (according to Dain Schult's book, "Nashville, Chattanooga & St. Louis: A History Of 'The Dixie Line'," the town was named after former Georgia governor Wilson Lumpkin's daughter, Martha) and became Atlanta in 1847. As expansion continued through the 1870s and into the 1880s the Central Rail Road & Banking Company of Georgia was growing into a major southern system. In addition to the takeovers mentioned above the Mobile & Girard was added in 1870. 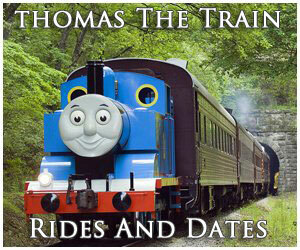 It began as the Girard Railroad of 1845 and then renamed in 1854. The road eventually went on to open a route from Columbus, Georgia, across the Chattahoochee River at Girard, Alabama, to as far south as Troy via Union Springs. The line was completed in 1870. It was formally leased to the CRR&BC in 1886 and pushed further south to Searight in 1892. The goal of the original Girard Railroad was to link Columbus with Mobile Bay. These hopes were never realized although in 1899, under the Central of Georgia name, tracks were extended from Searight to Andalusia, Alabama constituting the branch's furthest reach. The Savannah & Western Railroad (S&W) comprised its next important component, formed in 1888 as a CRR&BC subsidiary. It added a series of small systems pushing it further into Alabama and across the Tennessee border. Shortly after its creation the S&W purchased the 157-mile Columbus & Western (C&W) which connected Columbus with Birmingham, Alabama. In addition, a branch ran from near the Alabama state line at Opelika to Roanoke. Around the time of the Columbus & Western takeover the Buena Vista & Ellaville was also added. The BV&E ran 30 miles from Americus, on the CRR&BC's Macon main line, to Buena Vista. 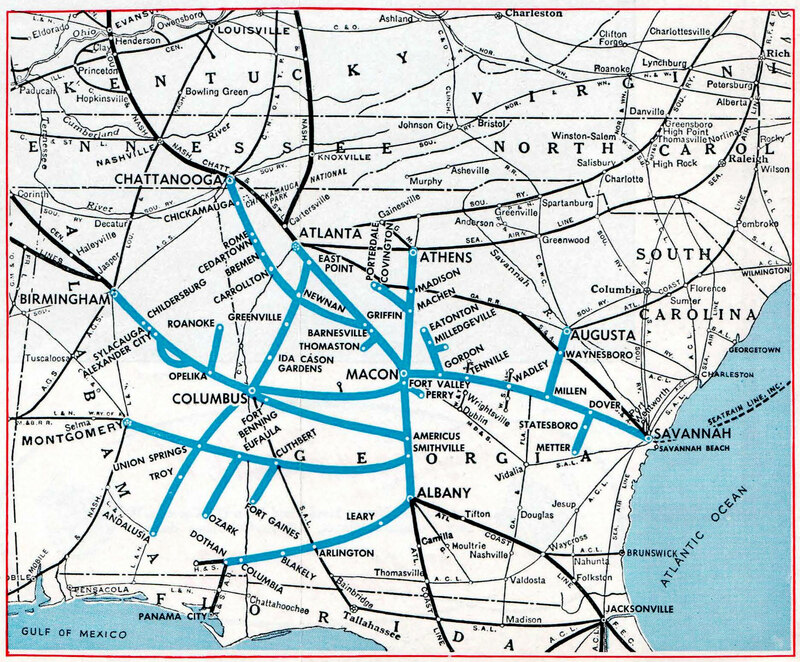 Under S&W control it was extended an additional 35 miles westward to Columbus; thus opened a continuous main line from Savannah to Montgomery and Birmingham. Finally, one last 1888 addition was the Columbus & Rome. According to Dr. George Hilton's, "American Narrow Gauge Railroads," it began as the North & South Railroad of Georgia organized on August 1, 1871. The system was conceived by Governor Rufus Bullock to open the state's western regions for rail service. In 1877 it completed a three-foot network a distance of 23 miles between Columbus and Hamilton. In 1882 its name was changed as the Columbus & Rome and finished a final extension to Greenville in 1885. In 1888 it was merged into the S&W. In 1906 the tracks were converted to standard gauge which coincided with a final extension to Raymond near Newnan. From there trackage rights were utilized over the Atlanta & West Point (West Point Route) into Atlanta, a setup which survived through the CoG era. The very last component of the S&W was the Chattanooga, Rome & Columbus which it acquired in 1890. Just like the North & South (N&S), the CR&C began as the narrow-gauge Rome & Carrollton, chartered on August 3, 1881. Its intended purpose was to utilize and complete the unfinished grading of the N&S consisting of roughly 50 miles between Rome and Carrollton. At first, no progress was made but finally service was opened from Rome to Cedartown (20 miles) in 1887 before further work stopped. In 1888 the system was renamed as the Chattanooga, Rome & Columbus and completed to Carrollton. That same year the narrow-gauge was widened and standard-gauge built from Rome to Chattanooga. In all, the CR&C operated a 140 mile network. Under the Central of Georgia it became an important corridor where interchange was made with the Cincinnati, New Orleans & Texas Pacific (Southern) and Nashville, Chattanooga & St. Louis (Louisville & Nashville). The 1890s were a rather tumultuous decade for the Central Rail Road & Banking Company of Georgia although it did boast a network of 1,020 miles. In 1888 it had fallen into the hands of interests owned by the Richmond & Danville and continued to grow through the early 1890s. On June 15, 1891 it leased the Macon & Northern which offered a new 106-mile line from Macon, northward to Athens. In March of 1892 a court dispute was undertaken by a shareholder of the CRR&BC due to shady business dealings by the railroad's parent companies. The corporation was ultimately placed in receivership and eventually sold on October 7, 1895. On October 17th the Central of Georgia Railway was incorporated to acquire the remaining assets of the CRR&BC and formally began service on October 31st. The new railroad was able to retain most of the CRR&BC's leased and controlled lines although all trackage in South Carolina was lost. This included stakes in the Port Royal & Augusta and Port Royal & Western; combined these two roads connected Port Royal, South Carolina with Anderson, Greenville, and Spartanburg via Augusta. Another important segment let go was a more direct route from Savannah and Birmingham via Americus and Columbus. The CRR&BC had owned a branch from Meldrim (near Savannah) to Lyons but gained trackage rights over the 124-mile Savannah, Americus & Montgomery to reach its own rails at Americus. This inside gateway was discontinued in 1896 when the branch was leased to a Seaboard Air Line subsidiary. 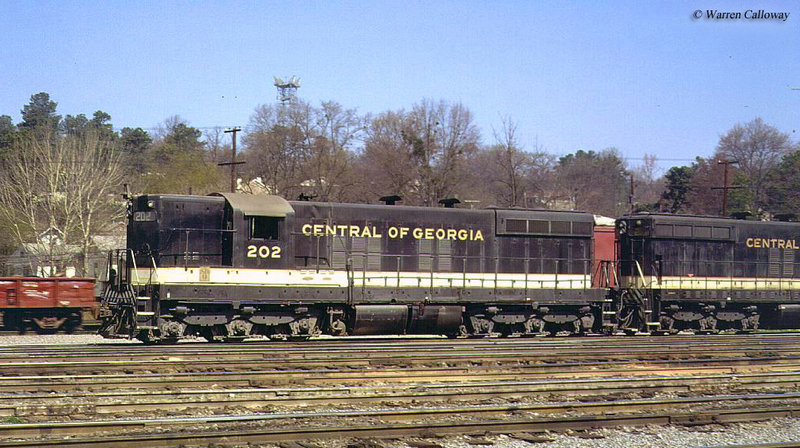 At its peak the Central Rail Road & Banking Company of Georgia had owned some 2,700 miles including all subsidiaries and leased properties. After its reorganization as the Central of Georgia the new railroad maintained a network of 1,520 miles. There were a few final extensions carried out through the early 20th century. On December 31, 1896 the CoG added the Middle Georgia & Atlantic Railway which extended from Milledgeville/Eatonton to Covington, bisecting its line to Athens at Machen. In 1899 the branch reached its final length when a short extension opened to Porterdale. In 1900 more growth took place when the line from Columbia, Georgia was extended to Sellersville, Alabama via Dothan. It also saw extensions to Paxton and Lakewood, Florida offering the CoG's its only reach into the Sunshine State. However, during the 1940s all trackage here west of Dothan was either sold or abandoned. One final noteworthy addition was the Savannah & Atlantic Railroad, which came with the Central's 1895 reorganization. This little system began service in 1887 as the Savannah & Tybee Island Railway providing passenger service from Savannah to the vacation destination of nearby Tybee Island. It was 18 miles in length. In 1890 the name was changed as the Savannah & Atlantic. The road generated little freight and after a highway was built to the beach in 1923, rail service was discontinued on July 21, 1933 (today, the right of way is home to the McQueen's Island Trail). Into the 20th century the Central was a profitable road, connecting with many of the South’s largest markets. 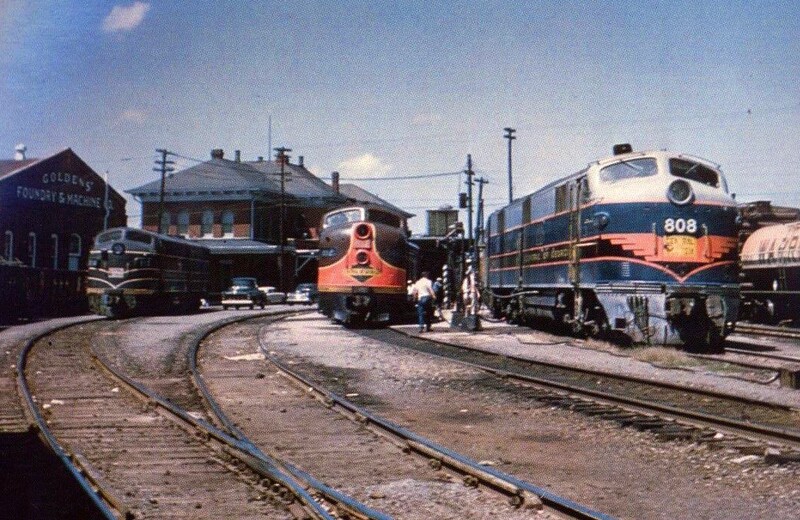 It maintained a steady flow of traffic, particularly interchange movements,with other railroads like the Southern, Illinois Central, Seaboard Air Line, Louisville & Nashville, and Atlantic Coast Line. 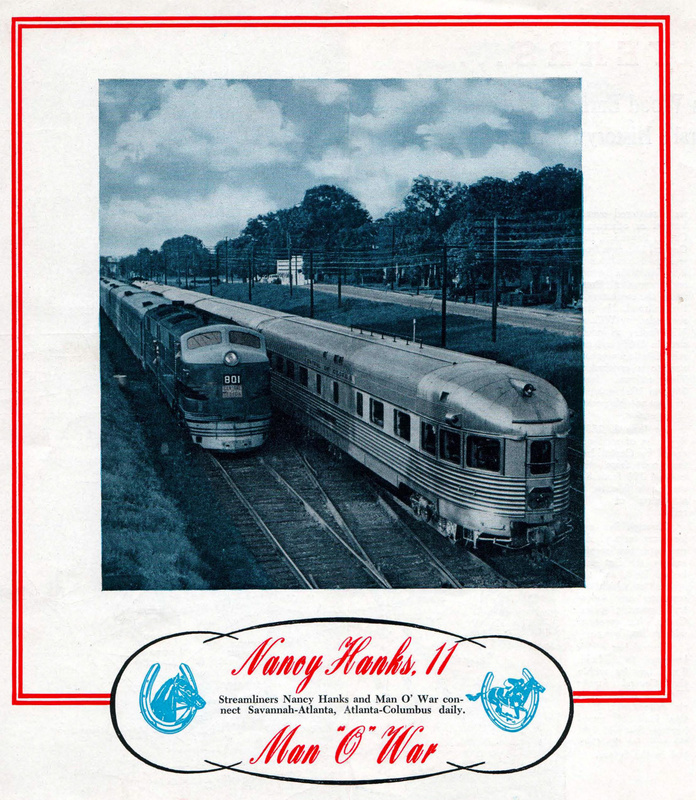 Its passenger services ranged from its very own Nancy Yanks (named for an unbeaten Standardbred mare named for Abraham Lincoln's mother) operating between Savannah and Atlanta while it participated in several through services to Florida including the Flamingo, Seminole, Southland, Dixie Flyer, and Dixie Limited. 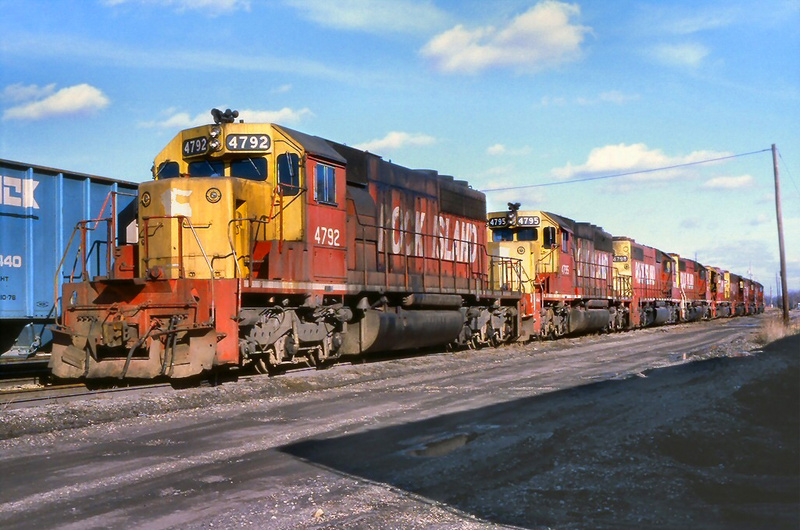 Its freight traffic was just as dynamic including agriculture, manufactured goods, coal, forest products, steel, cotton, and various less than carload movements. 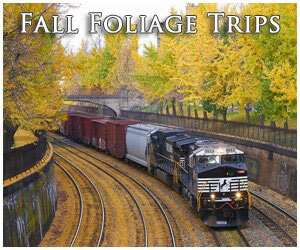 Its success and many markets drew interest from much larger railroads. At first it came under the control of tycoon E.H. Harriman in 1907, followed by the Illinois Central in 1909. The IC used it as a further reach into the Southeast and maintained an influence until 1948. That year (1948) the CoG exited receivership after being stuck in reorganization since December 20, 1932. As a result the IC lost its holdings. In 1951 the Central picked up a more direct Savannah-Atlanta routing by acquiring the Savannah & Atlanta Railway that year. 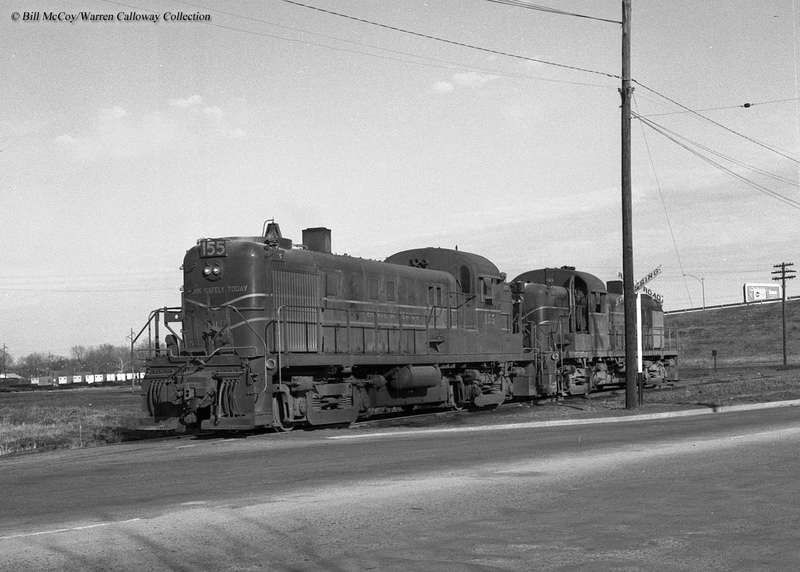 During June of 1956 another railroad attempted to acquire control of the CoG, the St. Louis-San Francisco Railway. A complete steam locomotive roster is far too comprehensive to cover here including various predecessors, wheel arrangements, re-numberings, and final dispositions. The above is only a very general listing of how the Central numbered its fleet. For a complete, in-depth, and detailed look at the road's roster try to find a copy of Richard Prince's book, "Central of Georgia Railway And Connecting Lines." 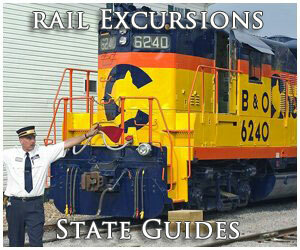 It provides everything you might want to know about the railroad's steam fleet. 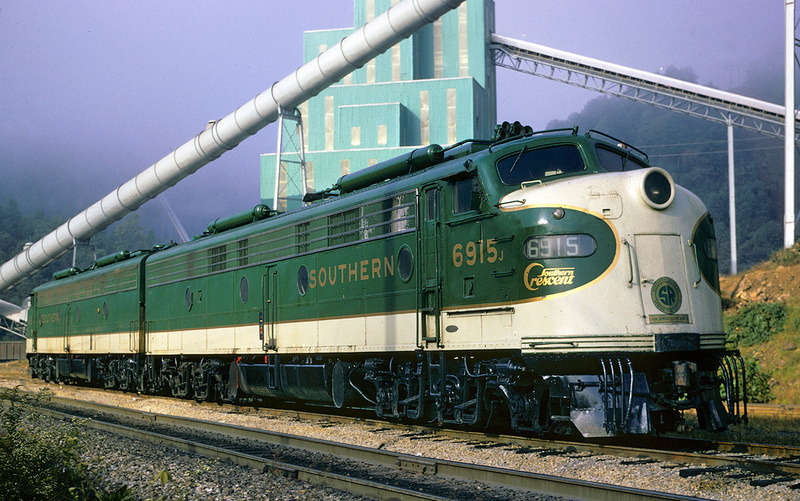 The Frisco was ultimately denied its holdings by the Interstate Commerce Commission and instead the agency allowed the surrounding Southern Railway to gain stakes on June 17, 1963. Over the years the wealthy Southern slowly integrated CoG's operations into its own. 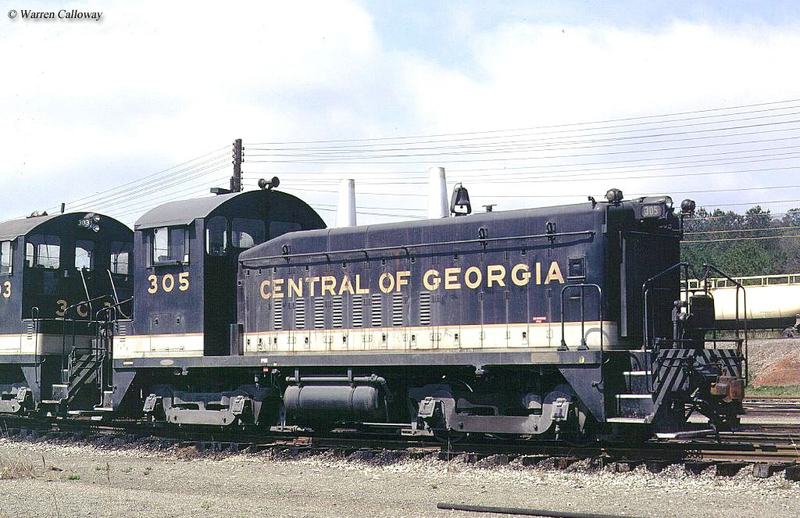 In 1971 the company was renamed as the Central of Georgia Railroad after the Southern merged three smaller lines into it; the Georgia & Florida, Wrightsville & Tennille, and Savannah & Atlanta. Following Southern's takeover the CoG’s identity disappeared in time. However, even today, it remains a subsidiary of successor Norfolk Southern and is still on the books as an operating railroad (NS still even sub letters some locomotives with CoG markings). Prior to the Central’s loss of independence it maintained an interesting and classy livery, which was quite similar to the Baltimore & Ohio’s regal blue, gray, and gold (with yellow trim). Its locomotives wore two different versions, a brighter yellow with red trim as well as darker scheme. 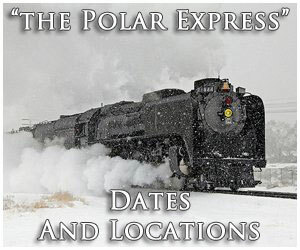 Both examples can be seen in the postcard presented at the top of this page as the heritage locomotive above.